Varanasi, the state which is renowned as a hub of various religious sites is also flourishing in the domain of tourism. Visitors from all round the globe visit Varanasi all round the year. Nadesar Palace is owned by Taj Group of Hotels. This heritage hotel is beautified with artworks from Maharajas’ era. The décor is elegant and historic. This palace has top ten luxury suites in India and is located amidst mango orchards, marigold, jasmine field and verdant gardens. Facilities and Services: Swimming pool, spa, laundry, doctor on call, guided tour and sightseeing, astrologer, travel services, safe deposit box, dry cleaning, fax/photocopying, golf course (under development) and yoga. 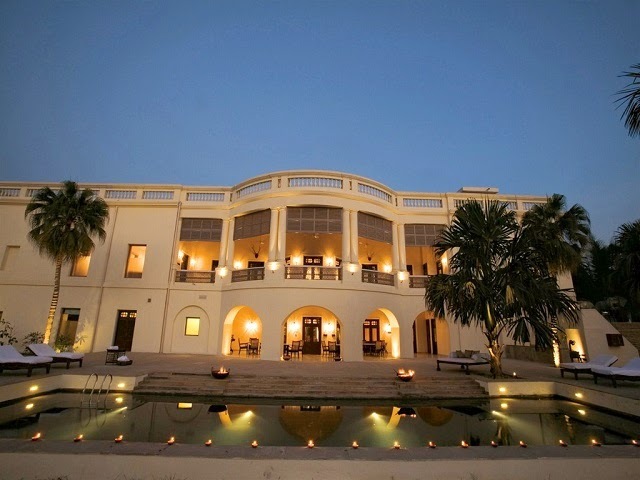 Dining: Taj Nadesar Palace offers unique experience of dining in the dining room, verandah and pool-side. You can also ask for private romantic dining in the gardens. This is one of the high profile hotels which provides accommodation in well furnished rooms equipped with modern amenities and exceptional services. The pleasant view also attracted visitors to stay here during their visit in Varanasi. Facilities & Services: Concierge Services, 24-Hour Front Desk, Tour Assistance, Dry Cleaning/Laundry Service, Beauty Services, Luggage Storage, Event Catering, Bar/Lounge, Coffee/Tea Maker, Banquet Facilities, Wedding Services, Shoe Shine, Complimentary Newspapers In Lobby, Laundry Facilities, Limo Or Town Car Service, Currency Exchange, etc. Dining: Varuna - provides breakfast, lunch, and dinner. This hotel is well known for its proper housing to its guest. This hotel provides the best services and modern facilities, which have made this hotel the prime choice of visitors. Facilities & Services: Currency Exchange, 24-Hour Front Desk, Limo or Town Car Service, Laundry Facilities, Shoe Shine, Bar/Lounge, Wedding Services, Fitness Facilities, Luggage Storage, Dry Cleaning/Laundry Service, Tours/Ticket Assistance, Concierge Services, etc. Dining: Amrapali (restaurant) serves breakfast, lunch, dinner, and brunch; Kadambari (coffee shop) serves breakfast, lunch, and dinner; Out Door Eatery (poolside restaurant) serves lunch and dinner. 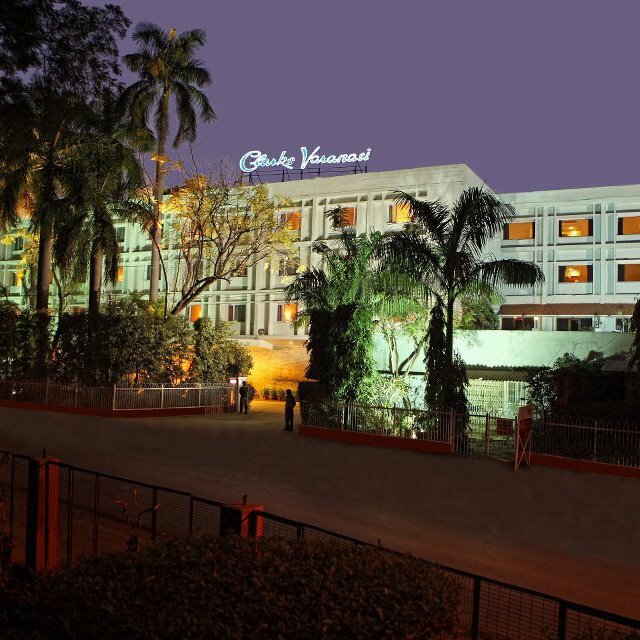 Appreciated for well equipped and appointed rooms, the Radisson Hotel is a perfect accommodation option available in Varanasi. The guests also provide modern facilities in order to offer luxurious as well as comfortable stay to the guests. Facilities & Services: Currency Exchange, Dry Cleaning/Laundry Service, 24-Hour Front Desk, Luggage Storage, Limo or Town Car Service, Tours/Ticket Assistance, Minibar, Laundry Facilities, Air Conditioning, etc. Dining: EastWest (coffee shop) serves breakfast, lunch, and dinner; The Oakwood Bar (bar) serves appetizers and drinks. 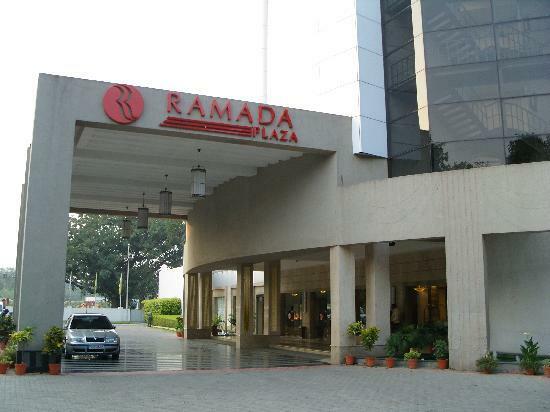 In the list of luxurious hotels, Ramada Plaza is praised for providing proper accommodation to its guests. The rooms are well-furnished and equipped with modern facilities and services. Facilities & Services: Tours/Ticket Assistance, Dry Cleaning/Laundry Service, 24-Hour Front Desk, Hair Salon, Event Catering, Coffee/Tea Maker, Complimentary Newspapers In Lobby, Fitness Facilities, Wedding Services, Luggage Storage, Laundry Facilities, Limo or Town Car Service Available, Currency Exchange, etc. Dining: Tadka (theme restaurant) specializes in Indian delicacies and serves lunch and dinner; Silk Route (restaurant) specializes in Chinese delicacies and serves lunch and dinner; Cafe Fresco (restaurant) specializes in international delicacies and serves breakfast, lunch, dinner. 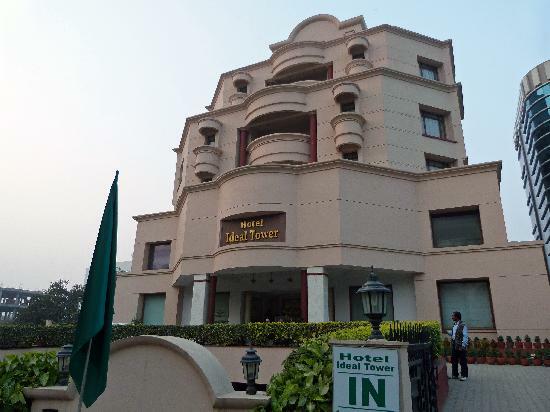 Hotel Ideal Tower is an ideal accommodation option available in Varanasi for the guests looking for lavishness and comfort. Apart from excellent interiors and exteriors, the modern facilities have also made this hotel a prime choice of affluent travelers. Facilities & Services: Concierge Services, Dry Cleaning/Laundry Service, Beauty Services, Minibar, Currency Exchange, Laundry Facilities, Safe-Deposit Box at Front Desk, Tour Assistance, Hair Salon, Bar/Lounge, etc. Dining: Red Chilli Restaurant (restaurant) serves lunch and dinner. Author Bio : Neelam Talreja is a Travel Writer with a keen interest in writing about incredible destinations. Her write-ups are detailed and comprising of all relevant details that could accommodate. All write-ups are written after thorough research with a blend of creative writing that will make you travel along.